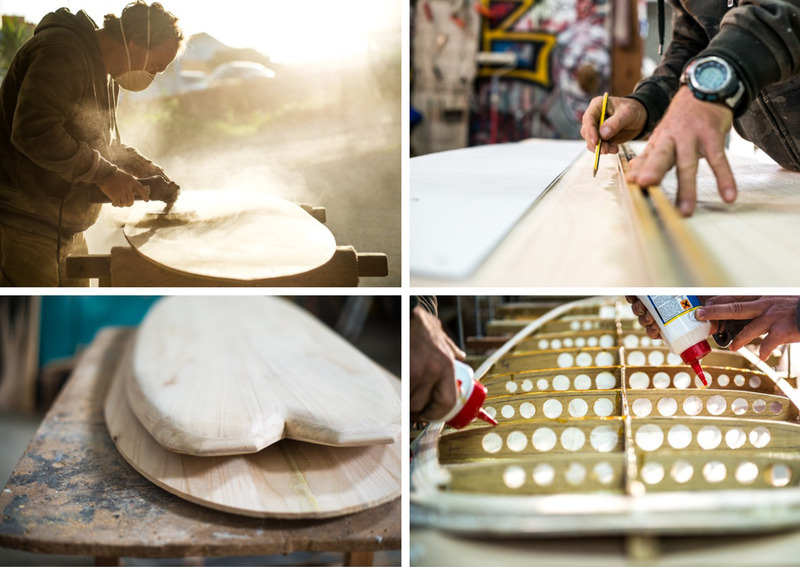 Every detail matters: Our hollow wooden surfboards are handcrafted, surf-able works of art. 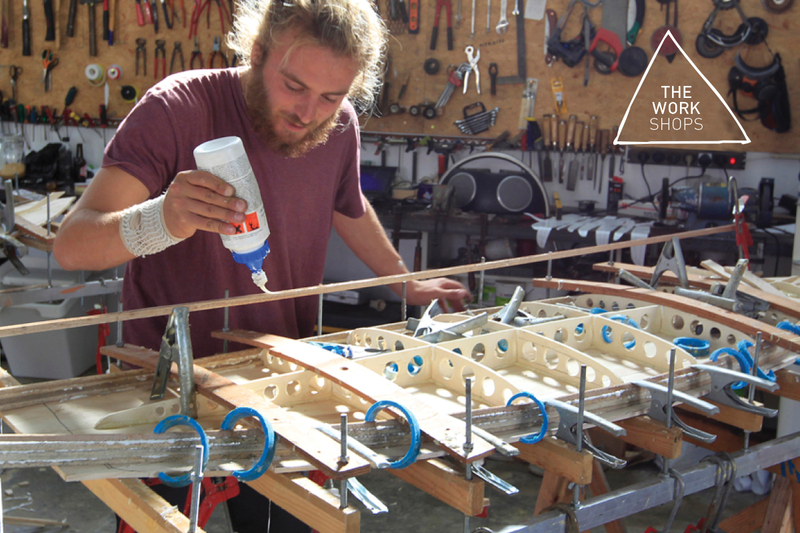 Build your own wooden surfboard with original FCS Pauwlonia wood. Clean – Sustainable – Environmental friendly. 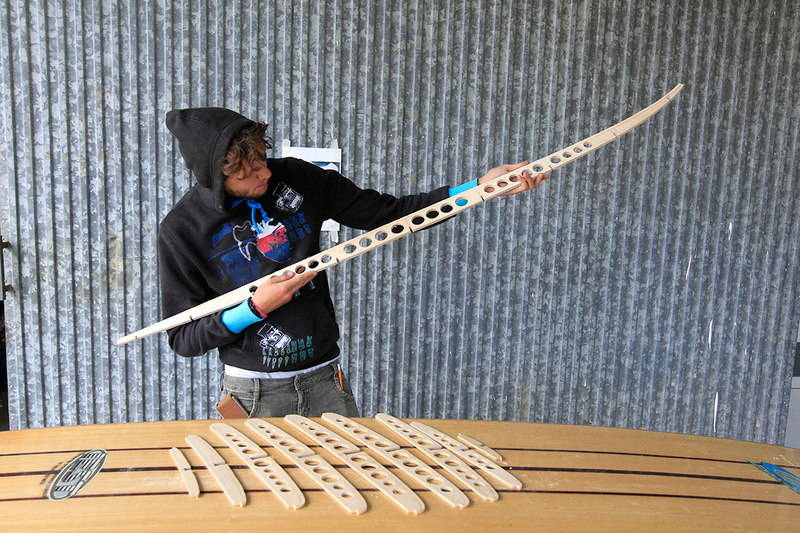 We teach you to build your own board with the original strip and feather method. Hollow wooden boards are light and much more durable than foam and polyester boards. The ride feel is unique … it´s like playing your own wooden made instrument and the look is just gorgeous.. definetly an eye catcher on the beach. Possible boards to build are retro style short boards, mini simmons, singlefins, twins, fishtail, eggstyle boards and mini malibus. Individual dates and reservations are always possible. Please contact us directly at info@skeletonsea.com. All prices are including all wood, FCS finboxes and the fibre glassing! Our Skeleton Sea Environmental Art Centre is located in the small village of Santo Isidoro in Portugal, just one kilometre inland from the famous Ribeira D’Ilhas surf beach and seven more waves and beaches outside Ericeira recognized as the only European World Surfing Reserve. The Skeleton Sea Environmental Art Centre includes a workshop, a gallery, one cosy wooden cabin and a Glamping style house tent for accommodation. A healthy breakfast with organic coffee and tea and one dinner BBQ for the week is included. 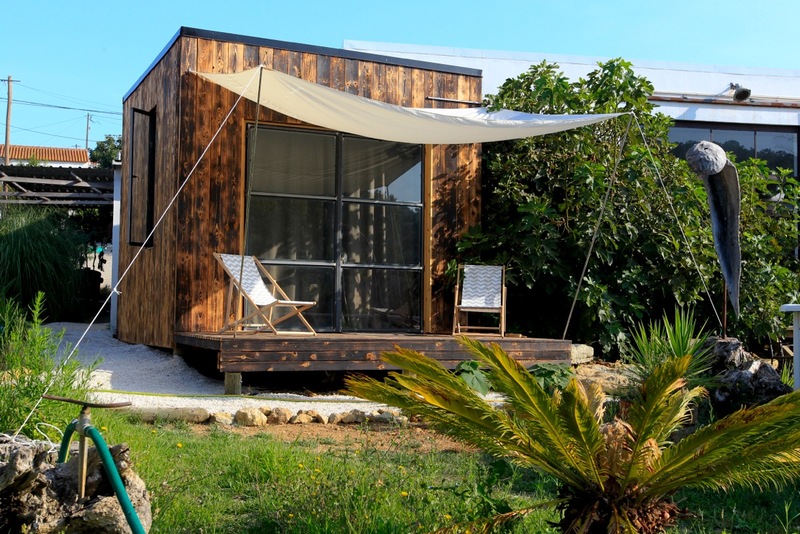 We have a big garden and a small pool to relax and Xandi will show you the best places for surfing. 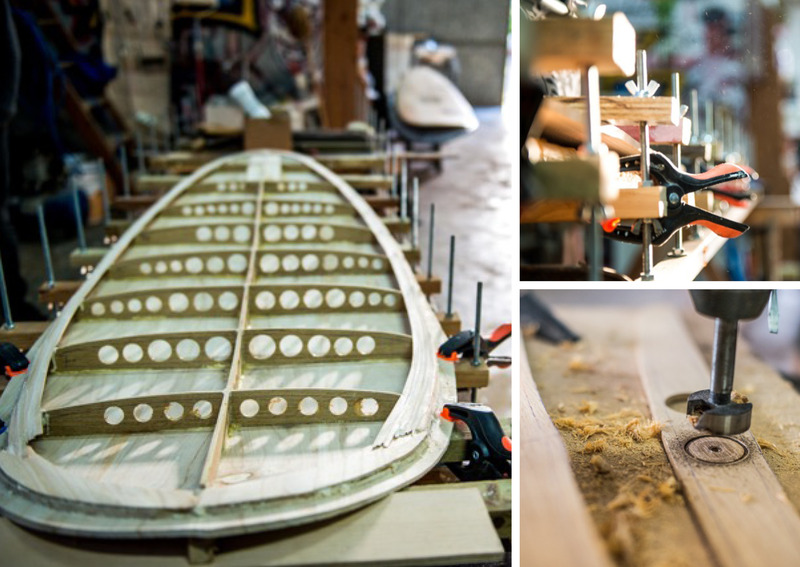 Go to previous: Fit for Fun about our wooden surfboard workshop ….